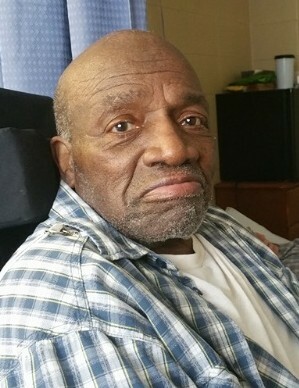 James Adair Washington, age 86 of Searcy, died Saturday, November 24, 2018, at Woodruff County Health Center in McCrory, AR. He was born August 3, 1932, in Searcy to the late Daniel Hunt and Annie Belle Smith Washington. He is survived by his wife of 50 years, Noralene Washington of Searcy; daughters, Lydia Bacus & Mary Catherine Yaya (Thozamile) of Searcy; son, James R. Chatman of Searcy; sisters Katherine Brunson of Conway and Dorothy Jean King(Priest) of Toledo, Ohio; brothers Douglas A. Washington, Sr. of Searcy and Timothy Washington(Patsy) of Toledo, Ohio. He leaves many grandchildren, nieces, nephews and friends to mourn his death. He is preceded in death by his parents, two brothers, Daniel Washington, Jr., and Porter Washington, and one sister, Mary Louise Clay. His family would like to express their sincere appreciation to the staff of Woodruff County Health Center and Legacy Hospice.